The following lists events that happened during 1979 in South Africa . Chief Justice: Frans Lourens Herman Rumpff. Marais Viljoen, was the last ceremonial State President of South Africa from 4 June 1979 until 3 September 1984. 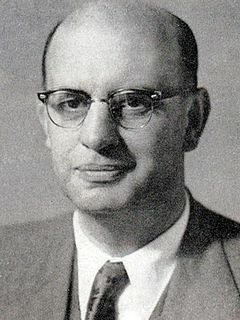 Viljoen became the last of the ceremonial presidents of South Africa when he was succeeded in 1984 by Prime Minister P. W. Botha, who combined the offices in an executive presidency. 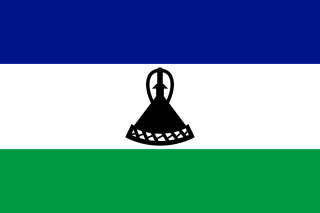 8 – South Africa and Lesotho sign a monetary agreement. 14 – Police clash with Umkhonto we Sizwe guerrillas near Zeerust and arrest one while six escape into Botswana. 23 – A bomb explodes near the New Canada railway station in Soweto. 24 – A large amount of explosives is found and defused on the railway line between Fort Beaufort and King William's Town. Sergeant Benjamin Letlako, a Police Special Branch member, is shot dead in Katlehong. Katlehong is a township 35 km east of Johannesburg and south of Germiston between two other townships of Thokoza and Vosloorus next to the N3 highway in the City of Ekurhuleni Metropolitan Municipality of Gauteng Province of South Africa. Explosives are discovered and defused on a railway line near Soweto. Soweto is a township of the City of Johannesburg Metropolitan Municipality in Gauteng, South Africa, bordering the city's mining belt in the south. Its name is an English syllabic abbreviation for South Western Townships. Formerly a separate municipality, it is now incorporated in the City of Johannesburg Metropolitan Municipality, Suburbs of Johannesburg. 5 – Guerrillas open fire in the Moroka Police Station, killing one and wounding three more policemen and three civilians. 29 – Bishop Abel Muzorewa becomes the transitional Prime Minister of Zimbabwe-Rhodesia. Explosives are discovered and defused on a railway line in the Eastern Transvaal. 22 – A Vela satellite detects a flash in the southern Atlantic Ocean, believed to be a South African-Israeli nuclear test. Guerrillas open fire and hurl grenades in the Orlando Police Station charge office, killing two policemen and wounding two. Grenades are thrown into the home of Special Branch policeman Lt Magezi Ngobeni and five children are wounded. A bomb explodes and damages the railway line near Alice. A bomb explodes at the Sasol Oil Refineries and cause massive structural damage. The National Council of Lawyers for Human Rights is established. The African National Congress's Special Operations, reporting directly to Oliver Tambo, is established. The African National Congress' Nova Catengue Training Camp is attacked and destroyed by the South African Air Force. 3 March – The South African Grand Prix takes place at Kyalami. Jody Scheckter becomes Formula One World Champion. 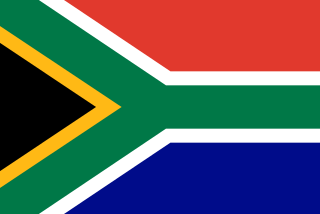 1990 in South Africa saw the official start of the process of ending Apartheid. President of South Africa, F.W. de Klerk announced plans to end apartheid. President De Klerk unbanned organisations that were banned by the government including the African National Congress, the South African Communist Party and the Pan Africanist Congress. The African National Congress' armed wing, Umkhonto we Sizwe, suspends its armed activity within South Africa. Political prisoners including Nelson Mandela were released. Nelson Mandela met ANC leader Oliver Tambo for the first time in 28 years at a meeting in Sweden. Mandela also traveled to England to thank the people for their support in the campaign to free him. South Africa withdrew its troops from Namibia, which was granted independence. 1990 also saw marches in support and against the formation of a new post-Apartheid South Africa. The following lists events that happened during 1989 in South Africa. The following lists events that happened during 1976 in South Africa. The following lists events that happened during 1967 in South Africa. The following lists events that happened during 1988 in South Africa. The following lists events that happened during 1977 in South Africa. The following lists events that happened during 1980 in South Africa. The following lists events that happened during 1981 in South Africa. The following lists events that happened during 1985 in South Africa. The following lists events that happened during 1986 in South Africa. The following lists events that happened during 1987 in South Africa. The following lists events that happened during 1969 in South Africa. Vernon Nkadimeng was a member of the African National Congress who was killed while in exile in Botswana by the apartheid secret police. Operation Nickel or the Wankie Campaign or the Wankie Battles was a military operation launched by the Rhodesian Security Forces on 1 August 1967 in response to the a group of ZIPRA and Umkhonto we Sizwe (MK) fighters crossing the Zambezi river, which marked the Rhodesian-Zambian border. The operation was a success with only one of the cadres out of a force of seventy-nine making it back to Zambia. ↑ Paxton, Leith; Bourne, David (1985). Locomotives of the South African Railways (1st ed.). Cape Town: Struik. pp. 128–129. ISBN 0869772112.